If you’re ready to make a real commitment to getting the body you want and deserve but you’re not sure if you can do it, then an Adonis coach is the best investment you will ever make for your success. Getting in your best shape isn’t just a physical change, it’s also a mental change, it’s truly is a transformation in every sense of the word. Most diet and fitness programs overlook the mental change and thats why so many of them fail. Every Adonis coach has gone through their own transformation so they are guiding you from both experience and expert knowledge. This also means your coach knows exactly what you’re going through and understands the challenges your facing. You should never take weight loss advice from someone who hasn’t successfully lost weight themselves. With the Adonis coaching program you can be assured your coach is speaking from experience and not just repeating a theory they read about in book or some sort of certification course. Every one of our coaches has been where you are and have successfully lost weight and kept it off. Your coach will provide both technical expertise and a wealth of experience from the time they spent losing weight. If your coach hasn’t been through their own transformation how could they possibly guide you through yours? Every one of our coaches including me has gone through a transformation and we use this knowledge to teach you how to achieve the same amazing results. This personal experience is what uniquely qualifies us to give you the very best guidance. We live and breathe this lifestyle every day and know how to make it a reality for you too. There is simply no substitute for experience. You will have your coach for a minimum of 12-weeks. You can choose to join the contest with the guidance of your coach or you can simply follow your coaches guidance for the duration of the 12 weeks without entering any contests. 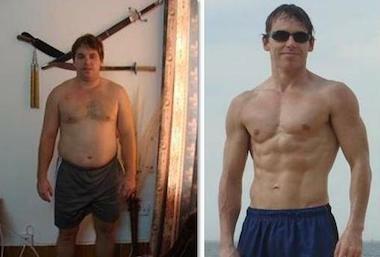 If you choose to join the contest your coach will also guide you on taking before and after pictures. 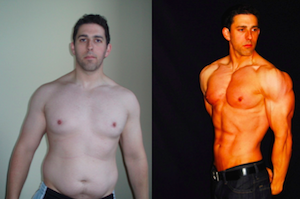 Your coach will use any and all of the Adonis exercise and nutrition programs to customize a program for you. You will stay in contact with your coach directly via email. 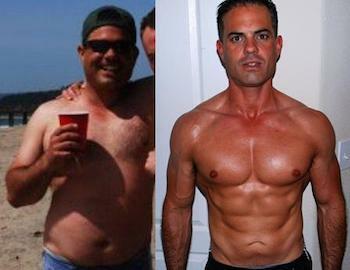 "Along your Adonis Lifestyle Journey there will be hills and valleys during the transformation process. One thing that can determine how long you may be in the valley is the mentorship and guidance from a coach. While like a literal minefield your path may suddenly become obstructed by an explosive event we call "Life." Having a coach and a game plan can keep you accountable to your goals and most of all help you consistently build positive new habits. The Start of my Adonis Lifestyle Journey began in 2010 when I followed the system and made the Watch List in Contest AT3. I was excited about the Adonis Lifestyle program, but wasn't quite sure what I had my hands on. It wasn't until I had the chance to receive some coaching and feedback from John Barban that the dream of pursuing fitness endeavors became a reality. Since that time I've fully embraced the Adonis Lifestyle and have had the opportunity to positively support, coach, and motivate many others to begin their very own Adonis Lifestyle Journey." 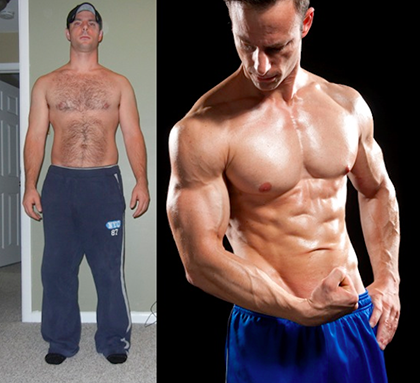 I learned much during the time when John Barban was my coach for Adonis Transformation Competitions #1 and #2, and I continue to impart those lessons to everyone I help with achieving their physique goals. An available, experienced, and like-minded person who is there to give guidance, motivation, and help you avoid distraction from your goals is the difference, in my experience, between a good transformation and an AMAZING one. Every time you get something handled, you become more self-sufficient and more of an alpha male. Now people expect advice from me and look at me for leadership. You become the go-to person in a lot of ways. Other thing is that if you want to hang out with or around good looking girls you need to look good too. Women are more forward to me, because they like what they see. Girls understand what it takes to get in shape and if you are not willing to make that effort then you will end up with somebody you don’t want. And you don’t have to spend your life in the gym. I thought I will have to spend most of my day in a gym. Sometimes more can be achieved with less, if you know what you are doing. The workout structure is the key. Adonis Index workout has simplified my life and made it a lot easier. It has been freeing in a lot of ways since I started training with this system. In the past I never realized in how bad shape I was. I tried several approaches, I even dig the whole paleo, evolutionary and natural way of eating stuff, whatever that is supposed to mean. Then I found you guys. Thanks to Adonis Index, I realized that I have to progress in my workouts, I have to watch my diet, but I don’t have to cut on social events. Quite the opposite. Before the transformation, I would just sit at home and came up with dozen excuses why not to go out, for example I would try to convince myself that I’m tired or something. Today, I’m planning on doing something out all the time, it’s amazing. I’m not embarrassed about my look anymore and I feel really confident. I can see small changes in my social life day to day and looking back, literally just couple of months, make me realize how glad I’m for trying the AI systems. Now when I’m on a spotlight I don’t try to run from it, I enjoy it. People are asking me for advice and complimenting me on my look all the time and it feels great. I like to go to the public more and go out with other people, I never had that urge before. I transformed from introvert to extrovert. 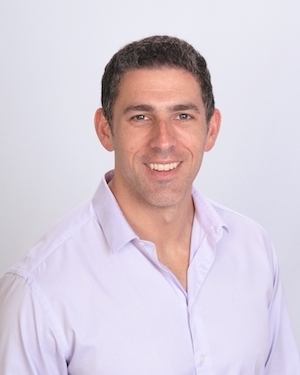 Adonis Index approach makes sense and it’s probably what you have been looking for – simple to follow, without any outrageous fitness rules, flexible and within few weeks you will start seeing results, trust me – I am a living proof of that. I always thought that I am just a big guy, that I’m big boned. And I thought that if I eat a lot and keep working out that my muscles will just somehow magically pop up. Before training with Adonis Index when I would walk to a restaurant I was thinking only about how other people are going think about me, that they will judge me and so on. Now my mindset has changed and it is completely different. I can just focus on spending time with other people, have fun with my friends an no longer worry what other people think. It just doesn’t bother me; I am happy with myself and confident in my skin. Really just stop lying to yourself and do something with the way you look. You have only one body in this life, so make the most out of it. And this is not just about looking good and being healthy. It is much more than that. Once you get in shape, everything changes. People start paying more attention to what you have to say, your opinions have more value, they see you as a role model, want to spend more time with you and are generally nicer. You will also feel better about yourself and since you are more positive you can actually communicate with other people better and improve your relationships with them. Take care of your body, the investment is worth it. When I was at college I was just ignoring the way I looked and was telling myself that it is okay to gain some weight and that being average is okay. Looking back now, I was in much worse shape than I realized. Man I was fat. After trying lots of stupid things I found the Adonis Index and that was something. It seemed so simple and sounded too good to be true. However, sometimes the simplest things work the best. I bought it, but still was too skeptical to try it. After almost a year of leaving it in my PC and decided to jump on board with the program and that was the best thing that could happen to me. 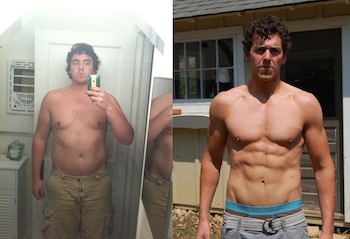 After few months I completely transformed my body and felt hundred times better about myself. And people started noticing too! A week later I was dancing with one woman and she asked me how old I was and when I told her she was like: "You are little too young for my daughter". I just couldn’t believe that this stuff was really happening to me. My advice? Just accept that simple things can work better and take the shot with the Adonis Index system. You are here because you want to get in shape, so stop waiting and just do it. I was tired of being called the skinny guy, I wanted to put on some muscles. I tried to seek some advice on bodybuilding forums and in magazines, but unsuccessfully. I was left with no idea what to do to get in shape and I had to rely on the workouts I created myself based on what I have read on the forums. At the end I got no results from them at all. Then I came across the Adonis Index. I was surprised and amazed by the results. I never had so much muscle mass and such a muscle definition before. It’s not about any special magic food or ingredient in the supplement. It’s about a quality workout program that can also make you more knowledgeable so you won’t fall for every marketing trap and bad advertising. Get the Adonis Index program, it’s worth it and it’s the best. If you have the discipline and consistently follow the program, you will achieve the body of your dreams! 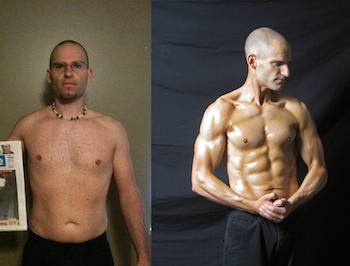 During my transformation I learned everything I need to maintain my new shape for the rest of my life. Before I discovered The Adonis Index I was lost in a sea of confusion and misleading marketing that the diet and fitness industry purposely wants us to believe. Having an Adonis coach was an eye opener and helped me discount what has not been working for me my entire training career. The techniques I learned from him were amazingly simple and could be valuable to both the beginner and experienced lifter. 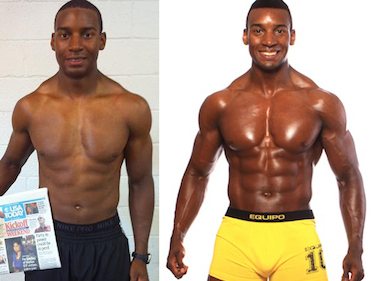 If you’re serious about getting the body you want then it’s time to make an investment in yourself with a Adonis coach. "SAVE $100 - BEST VALUE!" Let’s get started on your new body today! If you choose the monthly payment option, we require a minimum non-refundable four week commitment ($197). If you do not want to continue past four weeks, you must notify us before your fourth week ends to have the remaining payments cancelled. If you choose the paid in full option we require a minimum four week commitment equivalent to the monthly first payment option of $197. If you do not want to continue past the first four weeks, you must request your balance to be refunded before the end of the 4th week.